Nothing spooky about this Boo-tiful little Bat. Her costume includes black bat wings, a spiderweb detailed dress with layered skirt and black shoes perfect to celebrate Halloween. 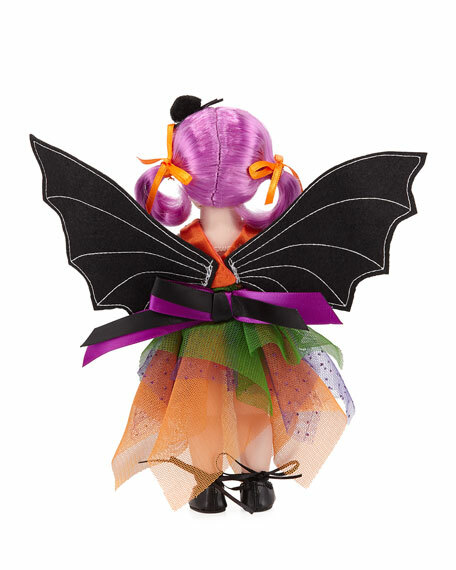 This articulated 8" Wendy wears a pretty purple pigtail hairstyle, topped off with a batty headband. 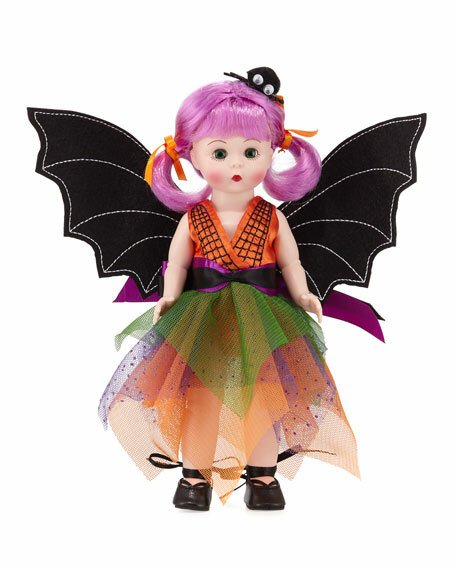 Madame Alexander Dolls "Boo-tifully Batty Halloween" Wendy doll. 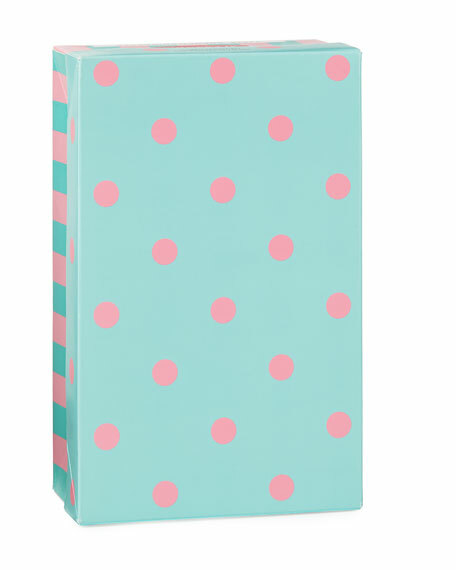 For in-store inquiries, use sku #2448160.